I support diversity including, but not limited to race, gender, physical ability, ethnicity, national origin, nationality, religion, veteran status, sexual orientation, gender identification, and age. I support the separation of church and state as guaranteed in the US Constitution. Individuals should be free to believe and worship as their conscience leads provided it does not harm others. I believe in the worth and dignity of human life. I support eliminating the death penalty. I support CEDAW, the United Nations Convention on the Elimination of all Forms of Discrimination Against Women. I am dedicated to strengthening our economy by creating a place where business is free to grow and people can find good jobs. Regulations exist to support the competitive environment that is a cornerstone of Free Enterprise. Giant corporations without regulation stifle entrepreneurship and reduce competition. I support unions as they represent the interests of the individual worker. Corporations have lobbying groups to represent their interests in politics. Certainly the people deserve that also. I support increasing the state minimum wage to a living wage of at least $15/hour. 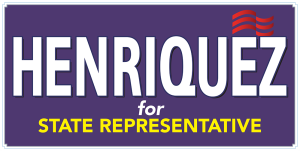 I am dedicated to making our public education system strong and ensuring that it is supported with the legislation and funding it needs. Our public schools should be supported with proper legislation and adequate funding to provide a good education to all our children. This is the cornerstone of a strong democracy. I support requiring high school students to pass a Civics class and a Financial Literacy class prior to graduation. These are fundamental to being a productive member of our society. Tax dollars should be spent on improving public schools that are open to all students. I oppose spending public tax dollars on private or charter schools. I am dedicated to keeping our resources clean and safe. The beauty and purity of our state and our country is essential to our way of life. I support creating jobs in solar, geothermal, wind, and other renewable sources to make sure Kentucky remains a vital contributor to the country's energy industry. Scientific evidence clearly shows that humans are causing significant impact to climate change. We must work together to reduce our negative impact on the climate. I am dedicated to ensuring that all Kentuckians are cared for and have the freedom to live without fear of not receiving medical care. The opioid epidemic is a serious problem that needs to be addressed on multiple fronts including quality treatment programs, mental health services, and addressing the contributing economic issues. I support working to improve the ACA and providing affordable healthcare to all. I am dedicated to improving our aging infrastructure that has been allowed to deteriorate. Internet access should be a utility (like electricity) and made available in every home across Kentucky.